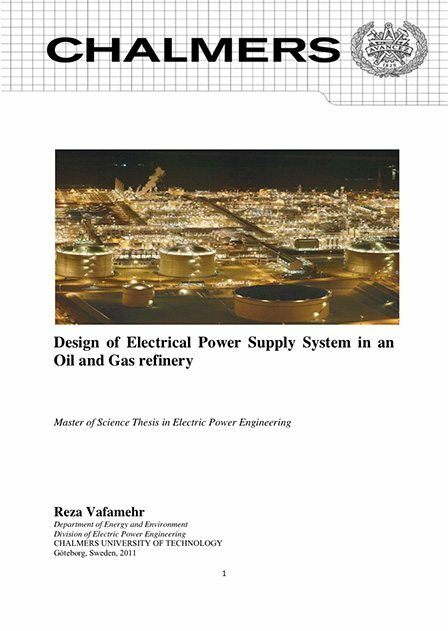 In this practical project, the design of power supply in oil and gas refinery is investigated. In these kinds of projects, the job is usually done in two main stages; basic design and detail design. In the basic design stage, the location and process of refinery is studied and a rough estimate of load types and demand is consequently obtained. While in the next step, different kinds of networks and supplies (based on technical and economical situation) are surveyed and the best choice is selected and basic calculations, drawings and specifications are consequently provided. Although all these documents lead to our main goals of our project, however they will not be sufficient for the implementation of the project. In the detail design, we expect to issue precise drawings which are considered our preference for purchasing material (procurement) and executing the project at site (infrastructure). So, in this step all necessary engineering detail works should be done completely. It is crucial to note that all the detailed documents must meet the project requirements specified and defined during the basic design. Here, it has been tried to have a comprehensive view on the basic design and the detail design. To achieve this, main parameters of an electrical system have been discussed and the methods of design of different parts presented. Nowadays, utilizing energy resources is considered one of the most challenging tasks around the globe. Among all of the world’s existing energy resources, oil and gas have key roles in supplying human needs. Thus, finding the most optimal and efficient ways to effectively use this important resource is an essential. Undoubtedly, electrical engineering does have a big influence on this industry and many measurements must be taken in order to obtain stable electricity. Thus, working academically on the above subject and achieving a positive result can be considered a breakthrough in energy industry and peoples’ lives. In addition to the above fact, study on this project assists engineers to obtain a profound knowledge in the power system of oil and gas that can be counted as a good path for considering the design of power supply in similar energy industry. To obtain deep understanding of electrical systems in the above mentioned industry. To know how to design a stable power system in the different projects by using a relevant software. 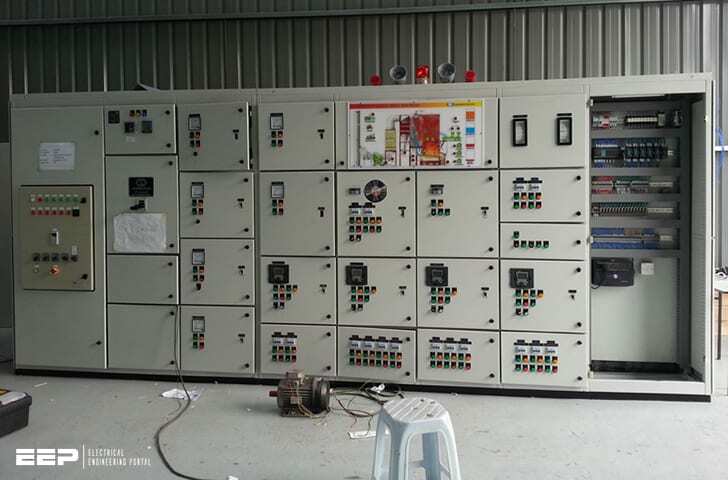 To be able to analyze new power system in case of any possible problems and capability of finding the issues and solving them (trouble shooting). To obtain an ability of predicting the possible problems that may happen in power system. Such a good reference, clearly explains every point. Lacks examples though.